Not only is knife throwing fun, but it is also a great sport, entertainment, recreation and exercise. It can be an enjoyable hobby, pastime, or even a profession, and the fundamentals are easy to learn. Anyone who can throw a stick, stone, or baseball can also learn how to throw a knife with skill and accuracy. All you need is a good knife-designed for the purpose, whether made to throw by the handle or blade, a target, and a small portion of the backyard for the throwing range. Harry K. McEvoy founded the Tru-Balance Knife Company in Grand Rapids, Michigan in 1949. Today, Tru-Balance is one of the primary suppliers of quality throwing-knives to professionals and sportsmen alike. 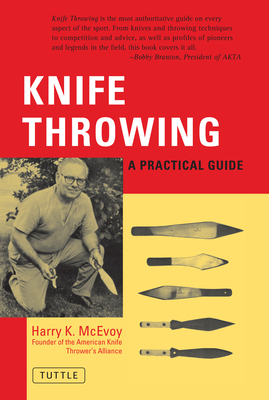 Harry coached and demonstrated knife and tomahawk throwing for more than 30 years and was the founder and national director of The American Knife Thrower's Alliance.